But inspired by the new episodes I started my own Game of Thrones-Project. The warbands will be 15 man strong. And I will game with an easy version of "This very Ground"...house ruled and so..
And in the first step vereryboby will be on foot. Okay her are the first pics of the Lannisters. The minis are a wild mix of every plastic box I could lay my hands on, with a few metal minis spinkled in. 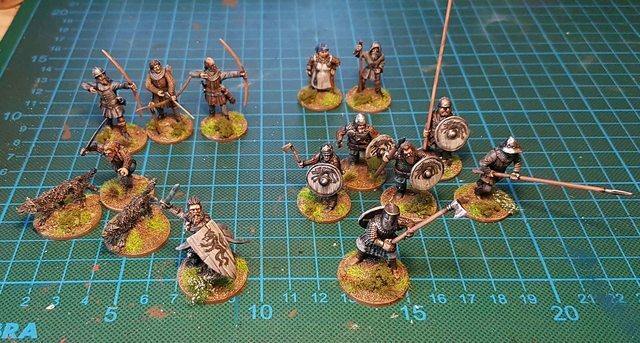 The warband will be lead by a Ser. This is really nice and inspiring. I hope you make warbands for many more factions. Looking good! 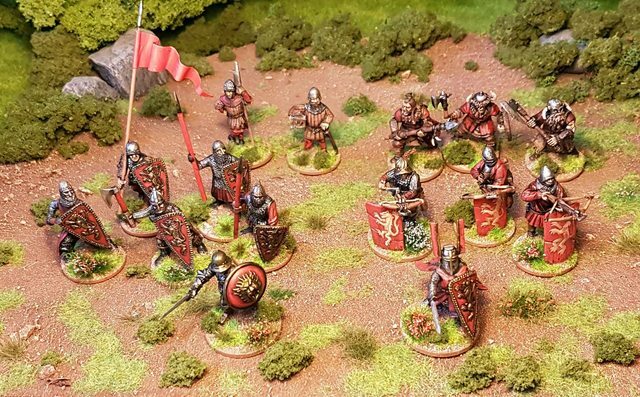 Nice use of the Fireforge Russian shields for Lannister heraldry. They look great, already looking forward to what you'll do for the next ones. Looks really good!!! And what a great productivity when you manage to paint that all in one single day!! They look great ... And all painted in one day?! I have no idea how some of you can paint so fast! 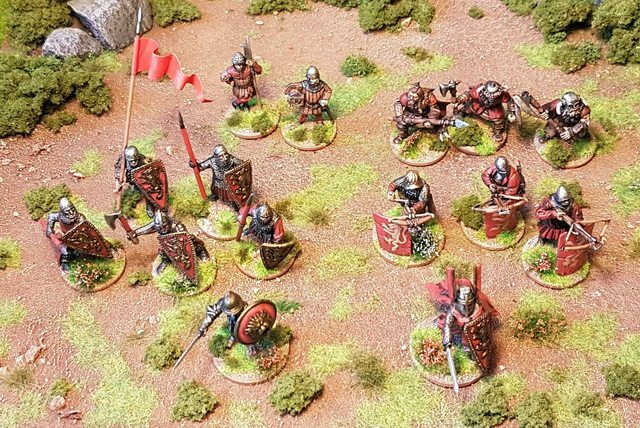 Stealing the Russian Lion shield idea for my Lannisters, that's too good. . Great painting and the kitbashing is on point. What house are you doing next? Looking great. Which one is Ed Sheeran? Looking good! Get to the other houses! It ought to be a casualty figure, with broken guitar, and severed vocal cords. Either that or a special rule to make any enemy in hearing distance take a compulsory rage test.